consists of 19 overlapping and interconnected circles. It always consists of 19 circles – no more and no less. geometric symbol. I will elaborate on this thought further on. source (this being the first circle). 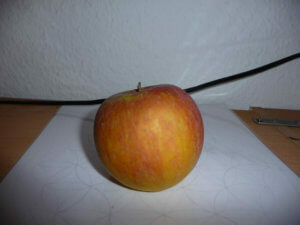 Life” stems not from a flower imagery but from the cycle of a fruit tree. and tree again. It’s fantastic and reveals the miracle of life :-). MADE IN GERMANY: 100% hand-painted picture on canvas by "Harmonie im Ganzen" (Jeannette and Karsten Wagner) from Chemnitz in Germany - made personally for you upon ordering - DELIVERY INCLUDES CERTIFICATE OF AUTHENTICITY! - 30 DAY RETURN POLICY! MATERIAL: hand painted on high quality canvas made from genuine heavy 380g/m² cotton and mounted on a strong and stable stretcher frame. ORIGINAL HANDPAINTED CANVAS with acrylic paints, 60 cm round. Painted completely by hand without using a stencil! 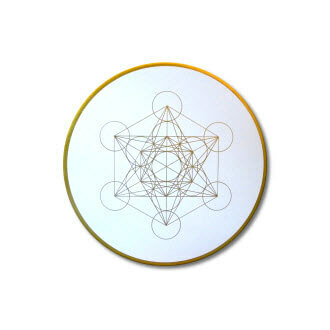 We design all our symbols by hand according to the principles of sacred geometry. This is a very old and powerful technique. Last updated on 2019-04-22 at 2:55 pm - Image source: Amazon Affiliate Program. All statements without guarantee. detected so many different things. If you then start using colors and paint the Flower of Life you will discover so much more. 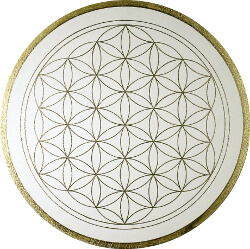 Just like many other symbols and ornaments the Flower of Life carries a hidden message which you cannot simply decipher by yourself – you need a little help to read the message and this is what this website is for :-). If you connect the several intersections you will get a new picture. This new ornament is called the Metatron’s Cube. Metatron’s Cube contains all platonic solids such as Tetrahedron,Cube, Octahedron,Dodecahedron and Icosahedron. so-called “Merkaba”, a star tetrahedron. This symbol can also be found in Metratron’s Cube. 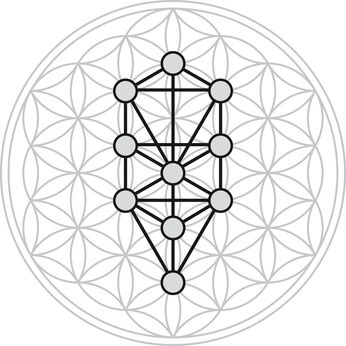 Following Drunvalo Melchizedek, the Merkaba is the energy field that surrounds us. practiced this sort of meditation for some time and will write about my experiences in a separate blog. evolve without any outside force are called Sacred Geometry. 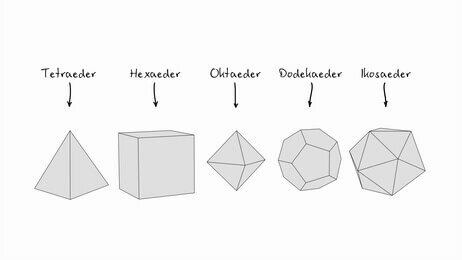 I’m sure that everyone knows ordinary geometry where you construct shapes and forms by means of measurements. What is Sacred Geometry then? 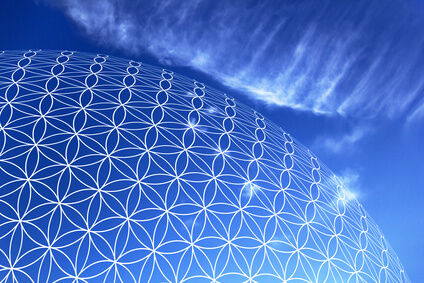 Sacred Geometry reveals the harmonic energy patterns by which nature creates and designs. Sacred Geometry is a vital element in all spiritual traditions. Every tradition used a unique symbolic language to preserve their knowledge about the Geometry of the Universe and its design. symbolizes the flow of energy in human bodies. If this flow of energy is blocked the energy can’t move freely. Last updated on 2019-04-22 at 12:45 pm - Image source: Amazon Affiliate Program. All statements without guarantee. 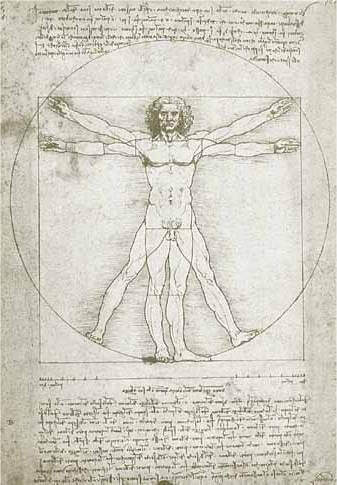 Leonardo da Vinci studied the Flower of Life and its mathematical properties. 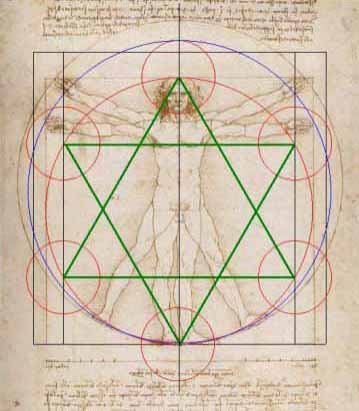 He drew the Flower of Life and various components such as the Seed of Life. 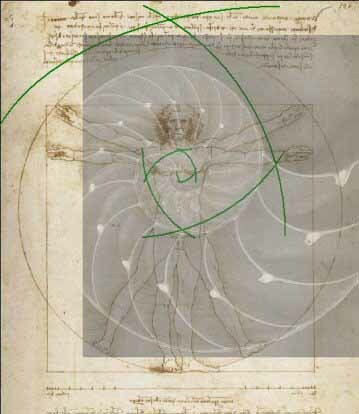 In his artwork, da Vinci drew geometric figures and forms such as the platonic solids, a sphere, a torus and many more as well as the Golden Ratio of Phi. 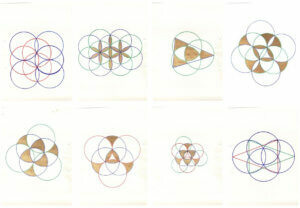 All of these forms can be derived from the Flower of Life. 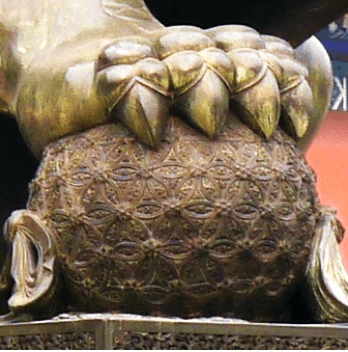 Symbols that resemble the Flower of Life can be found in temples, churches, secular buildings, burial sites, art objects and manuscripts worldwide. Many cultures used this symbol in full knowledge of its power and potency. found in their temples. 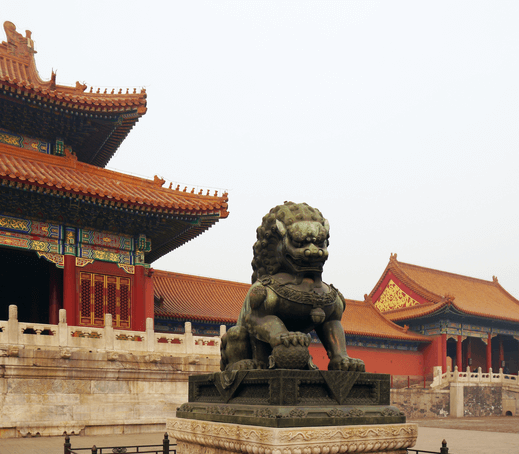 Some of the temple complexes were constructed with utter preciseness and harmony. Theoretically, this type of preciseness couldn’thave been possible at that time. 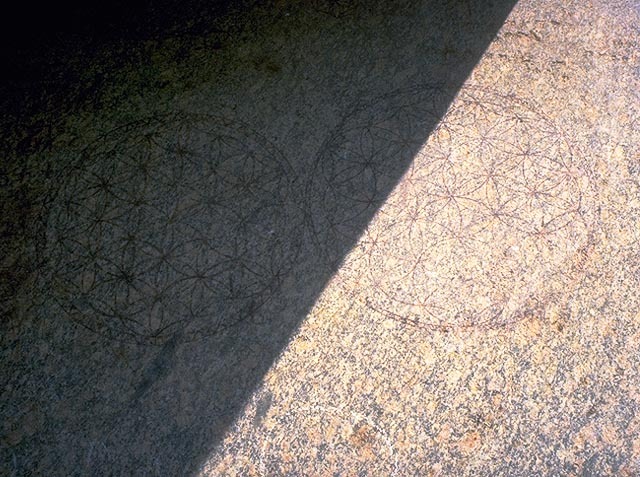 I will name some other places where Flower of Life imagery has been found: In a temple in Abydos (Egypt); in the Rama temple of Vijayanagara (India); in the Forbidden City (China); in Altenkirchen, the Apis-Altar in Dresden which belonged to Augustus II the Strong (Germany); in Gotland (Denmark); on the ceiling of a church in Maria Luschari (Italy); in the ruins of Pompeji (Italy); in an orthodox monastery in Kreta (Greece); in a church in Sörg (Austria); on a platte of the silver treasure of Augustus. 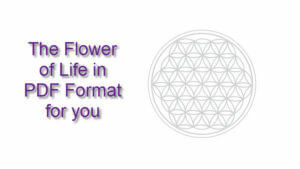 Write to me if you know of other places of importance where you have found the Flower of Life imagery. that are far older than 2.500 years have also been found. The Flower of Life is put to use in many different ways nowadays, e.g. 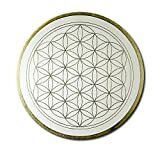 as a Flower of Life sticker (Flower of Life products) or a Flower of Life painting on the wall. Many people like to wear the symbol as a pendant on a silver necklace. there are many possible ways to use of the symbol of the Flower of Life. send me the name of the manufacturer and I will use it in my test series “Flower of Life Products”. CREATE MOMENTS OF PRESENCE AND CONNECTION - with our NEW and IMPROVED VERSION 2 signature double walled glass tea tumbler with removable strainer and infuser basket, for more versatility. Perfect for loose leaf tea, fruit infusions, cold or hot organic coffee, cocoa, or flavored water. Enjoy at home or on the go, work or play. SLIM, LIGHT & STRONG - Keep drinks hot for upto 45 minutes. Each tea bottle is made of lightweight, insulated, borosilicate glass for piping hot or cold brewing drinks. Holds 14 oz. 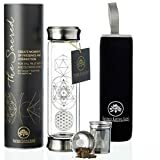 of liquid, has two leak proof lids and features a 'Sacred Geometry' design on the removable 18/8 Stainless Steel infuser, strainer and glass. No overt logo or marketing. Beauty and practicality combined. INSPIRE, CONNECT, LOVE - Featuring a subtle, beautiful, logo free 'Sacred Geometry' design to inspire and infuse presence and connection in your day. 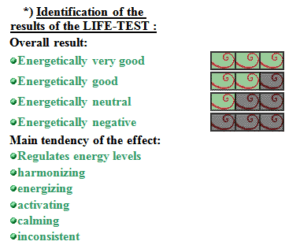 Live a more soulful, connected and aligned life; healthy for the environment and your body. FEEL GREAT, BE HEALTHY & ECO-FRIENDLY - No harmful plastic, chemical smells, or toxins. Each glass, silicone seal and 18/8 stainless steel infuser + strainer are tested to the highest standards and are all BPA & Lead FREE. GIFT READY WITH BEAUTIFUL PACKAGING + FREE SLEEVE - Each bottle comes gift ready in stunning packaging, beautifully wrapped, and with a unique companion poem & Rumi card inspired by the design. GUARANTEED SATISFACTION - If for any reason you are not happy with your purchase, simply contact us directly within 30 days and we will refund or replace - your choice! Terms of Service apply. Last updated on 2019-04-22 at 11:15 am - Image source: Amazon Affiliate Program. All statements without guarantee. 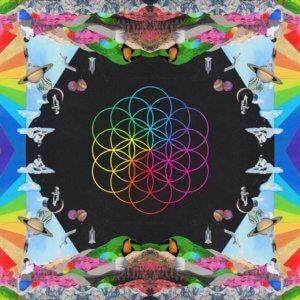 Recently, while surfing on Facebook, I almost could not believe my eyes when I saw the new Coldplay album cover. 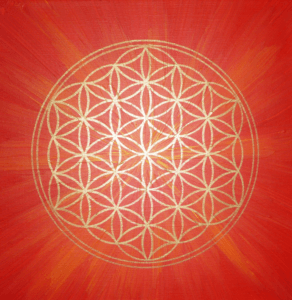 That’s it for the introductory part – more about the Flower of Life will follow in the upcoming blogs and articles. Here you will find more interesting articles about the meaning, use and origin of the Flower of Life and much more. 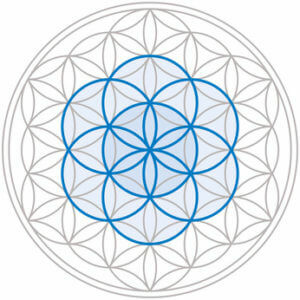 If you have a special question regarding the Flower of Life just send me an E-mail or use the comments area or the contact form and I will try to answer your question as quickly as possible.